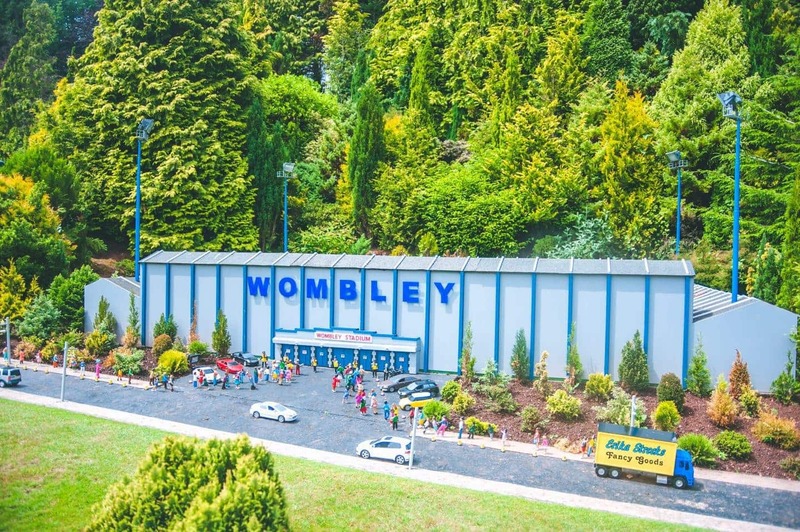 Last month during our stay at Beverley Holidays, we were invited to visit Babbacombe Model Village, an attraction described as, “A miniature world world that captures the imagination of all ages”. I won’t lie to you, I was nervous about how the day would go given the fact that, at four, five and six, these three struggle with the concept of “look but don’t touch!”. And yet I had heard some amazing things about it so, with a bag full of bribery, off we went. 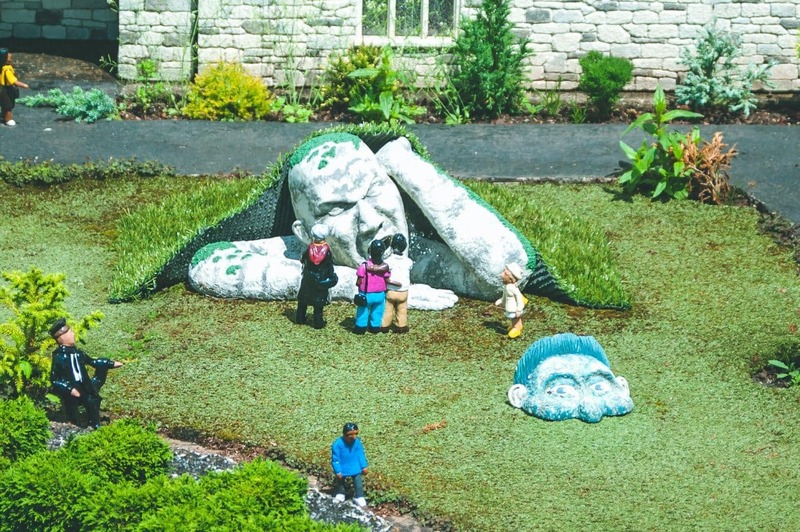 Since the village opened in 1963 the park has continued to expand the number of features on display. The village portrays English life and culture over the last 6 decades and although undeniably fun, it is also hugely educational too! 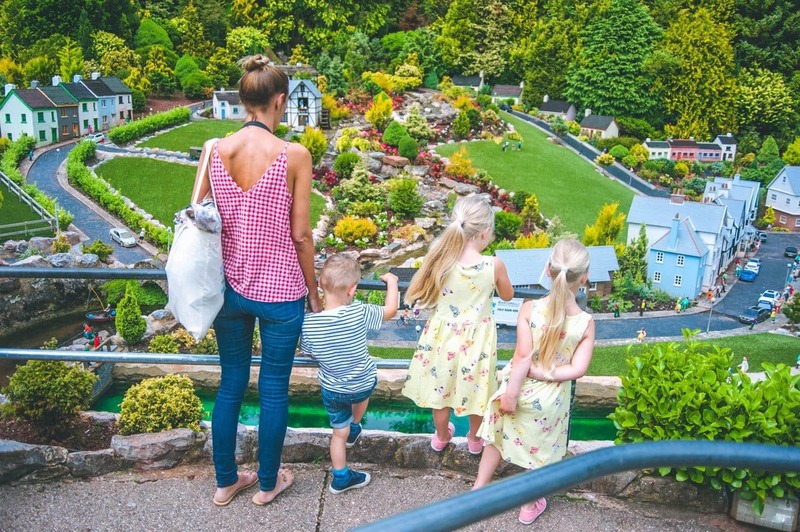 With 413 miniature buildings and an estimated population of 13,160 there is literally something new to see on every visit, and my children were mesmerised from the word go. 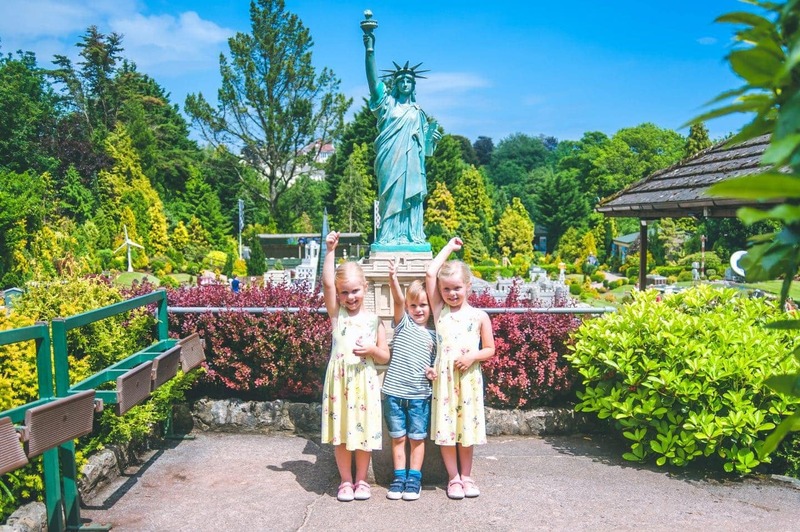 The girls were convinced that Babbacombe was a miniature fairy village, that the tiny figures were real life fairies (just pretending to be statues so we didn’t notice!) and that this is where they lived together. Seeing it through their eyes was pretty special, and I refused to correct their belief knowing that, at the same age, I would have found it overwhelmingly magical to imagine the same. Covering early four acres, it is amazing to see just how immaculately kept the gardens are. There wasn’t a single blade of grass out of place, so much so that I found myself marvelling at that just as much as I did the actual displays! 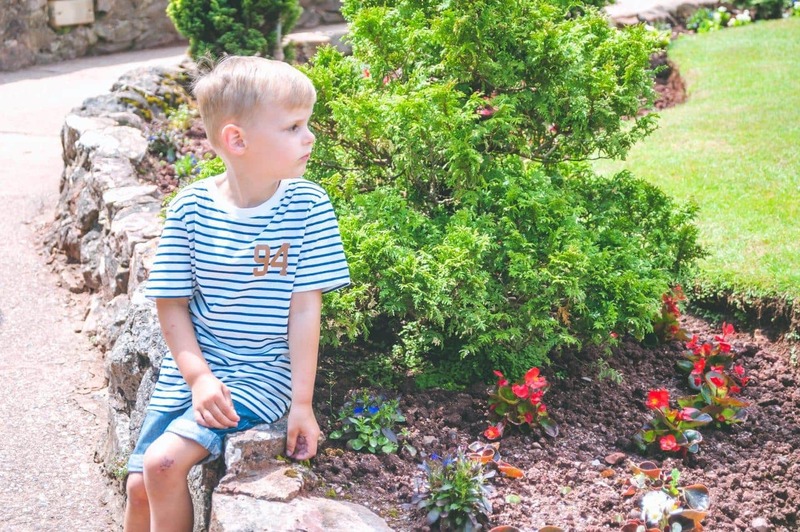 With hundreds of varieties of plants, shrubs and trees, the gardens are ever-changing and I can imagine that, with the passing of the seasons, returning to Babbacombe gives a completely different experience every time. 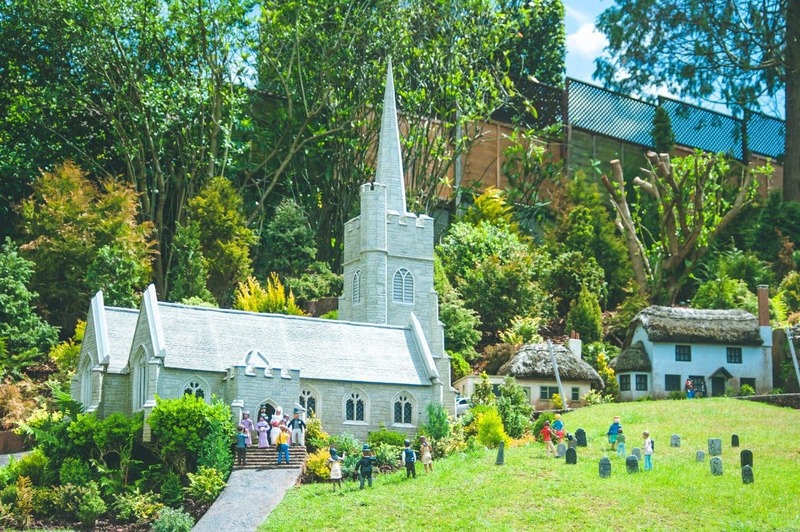 The great thing about the Model Village is that there is something everyone can relate to on some level, no matter what your age. 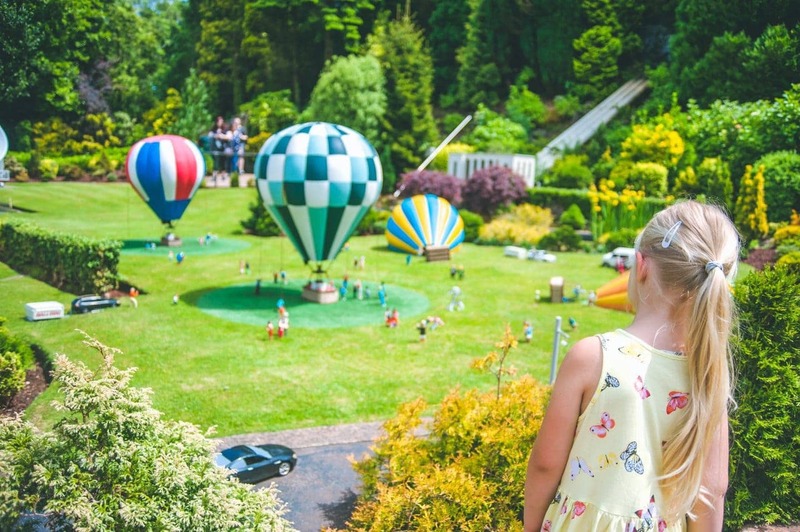 The village has numerous famous landmarks, all to scale, and perfectly created, and it was lovely for both Gaz and I to be able to spot some of our favourites and enjoy the day just as much as the children. 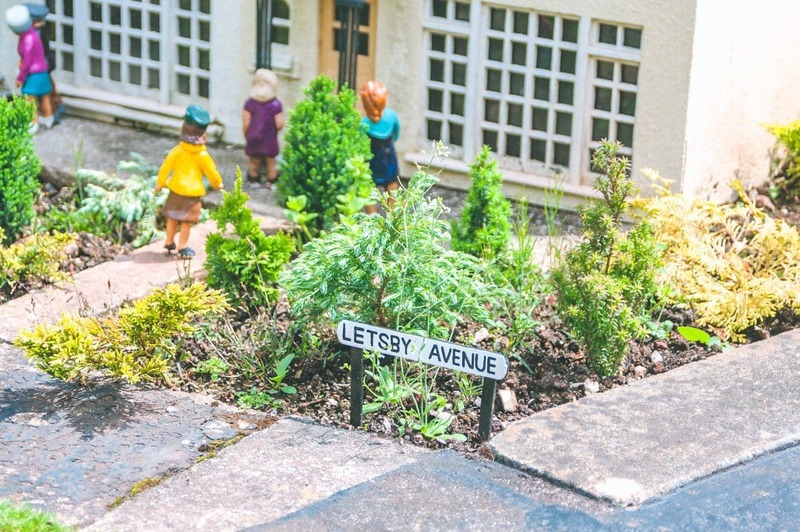 There are also lots of lovely little touches in the villages in the names of the streets, or the activities of the characters, and I could have stood there all day looking at some of the displays, and still leave without noticing every detail. Harry’s favourite displays were the ones with special effects, either with sounds or, more excitingly, fire!! I think when you’re four years old there is nothing quite as exciting as a fire truck! Unless of course, it’s a fire breathing dragon!! We must have stood watching that dragon for over half an hour, waiting for him to breathe fire every few minutes as the children screamed in pretend horror! At the bottom of the Model Village is a water feature where the children could put in £1 and steer a boat, which was a lot of fun even if Eva did spent most of the time going round in circles! Unsurprisingly, Megan’s favourite part was the royal wedding, ever more so given her new found love of the royal family. And as she admired the palace and the horse drawn carriage she told me, “I can’t believe there’s a fairy Princess Megan too!”. 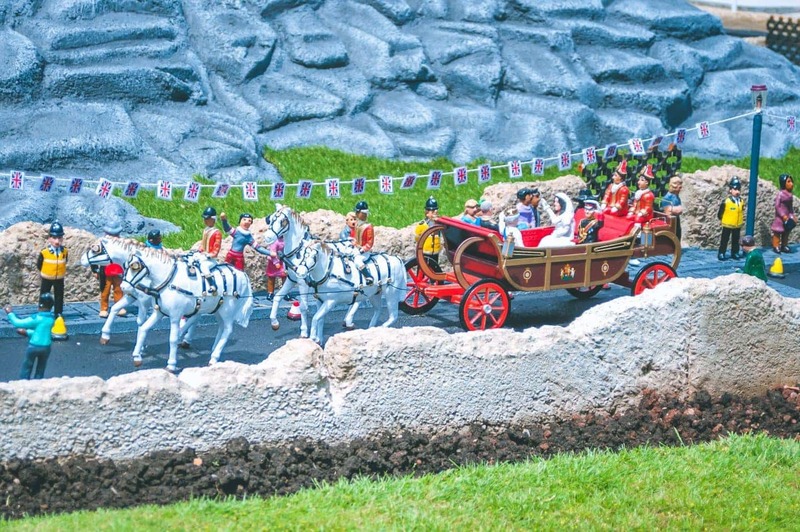 There is also a 4D cinema at the Model Village which I’m told is fantastic, although we didn’t see it this time. This comes at an additional charge of £1.50 per person. 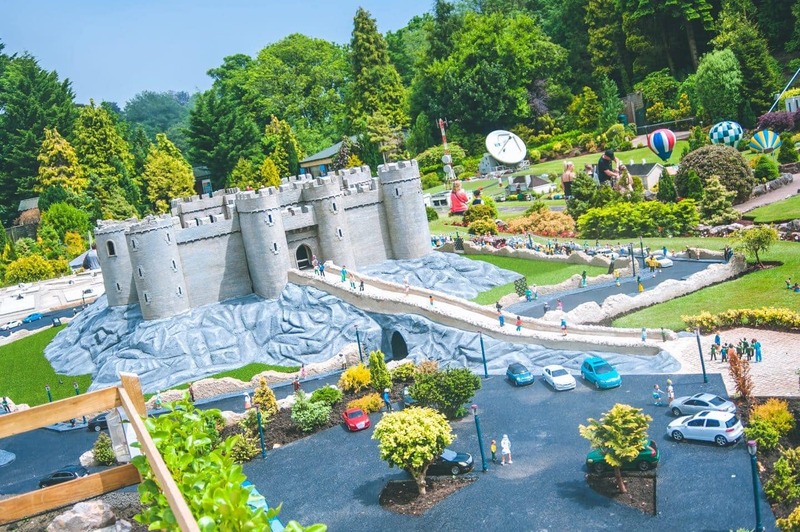 There is also a miniature golf attraction, a lovely cafe and a gift shop too, meaning you can spend an entire day there should you wish. They also offer a 2 for 1 entry system so that once you’ve paid to enter, you can return at any point within 7 days for free, meaning you can spend another day there or head over for the evening where the whole village is lit up with thousands of miniature lights! 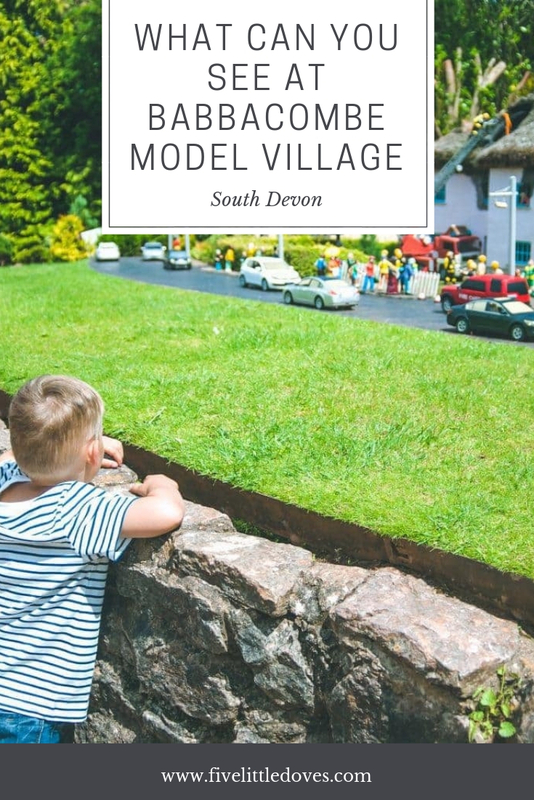 I think the most surprising thing for me was just how much the children loved the Model Village. It takes a lot to holds a child’s attention, and even more to hold my children’s attention, but honestly they were mesmerised by every single part of it and at the end of the day they were still begging for us to stay even when we had seen everything ten times over! 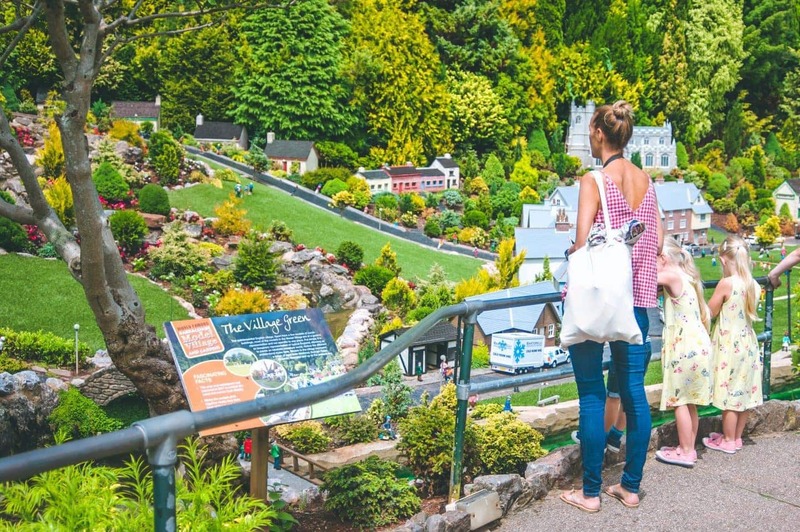 I can see why Babbacombe Model Village is such a long standing, and hugely popular, attraction on the English Riviera, and for those who haven’t visited it really is a must whilst you’re down there. 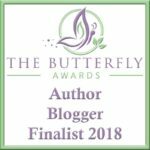 I’ve been raving about it to everyone since we got back, and I imagine the children will still be talking about their day at the “fairy village” this time next year. 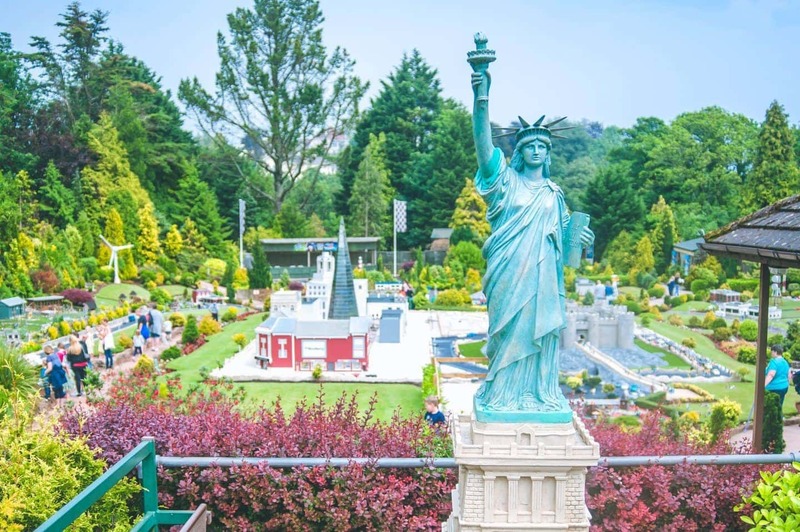 We had the best day at the Model Village and can’t wait for our next visit, after all it’s not often you get to visit all of these amazing landmarks in just one day! I could spend hours at this place. I love all the little details that they put into the villages. 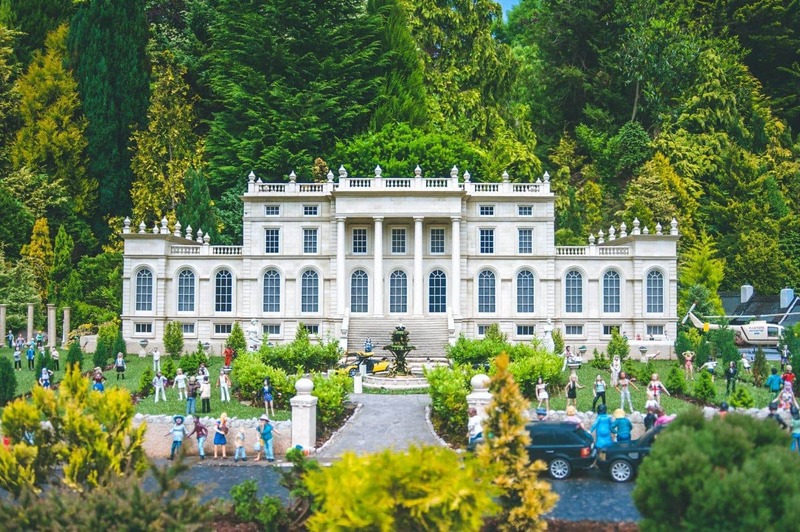 I am sure I used to go here when I was younger, it always used to amaze me how they had come up with such details in miniature! Such a lovely place. 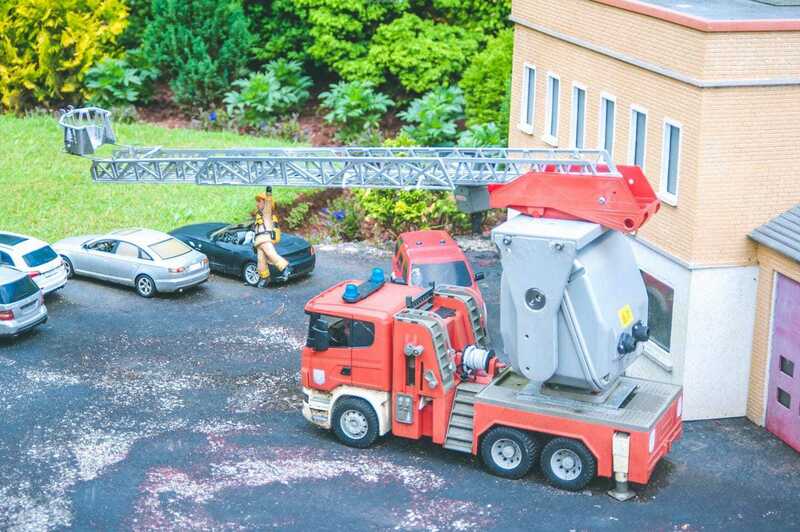 I bet my daughter would love to see this model village. We forget that kids don’t see the way we do, these are great for their perspective! wow this is incredible. 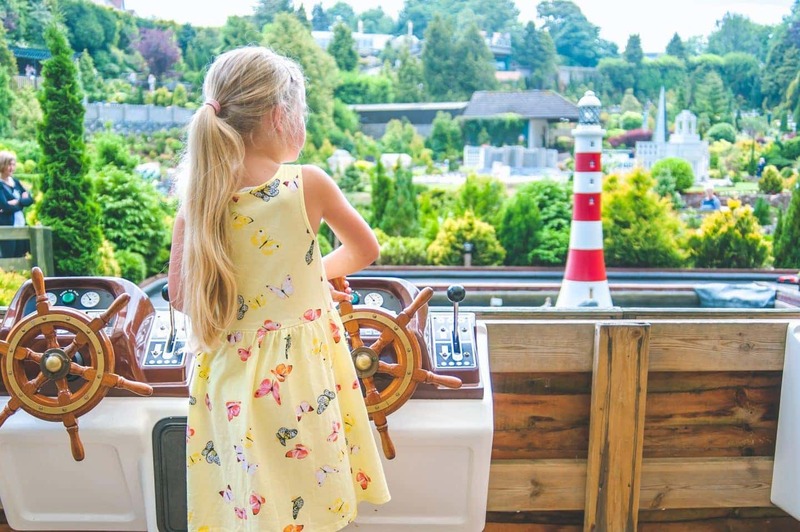 i seriously adore your pictures and def think is something my little one would enjoy if we were in the area! What a fun place to visit! We’re planning a trip to England in a few weeks. I wish we had time to add this to our trip. 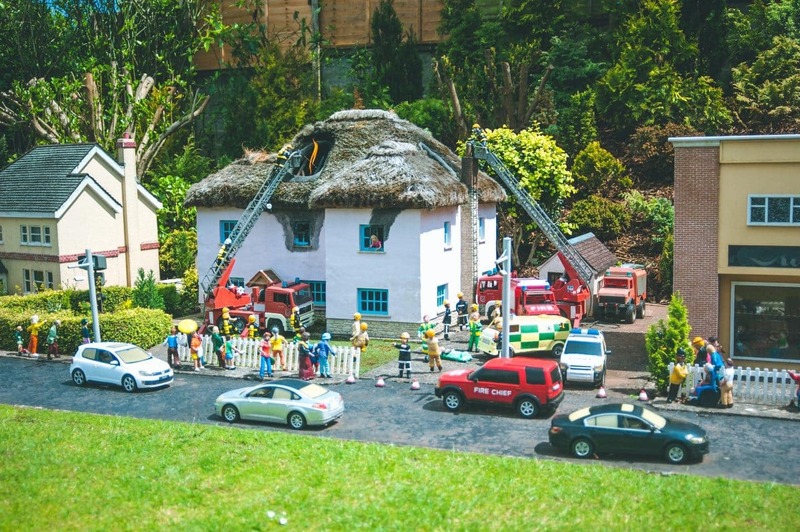 This looks like a fun day out, we used to live near a model village when I was younger and I loved going there! 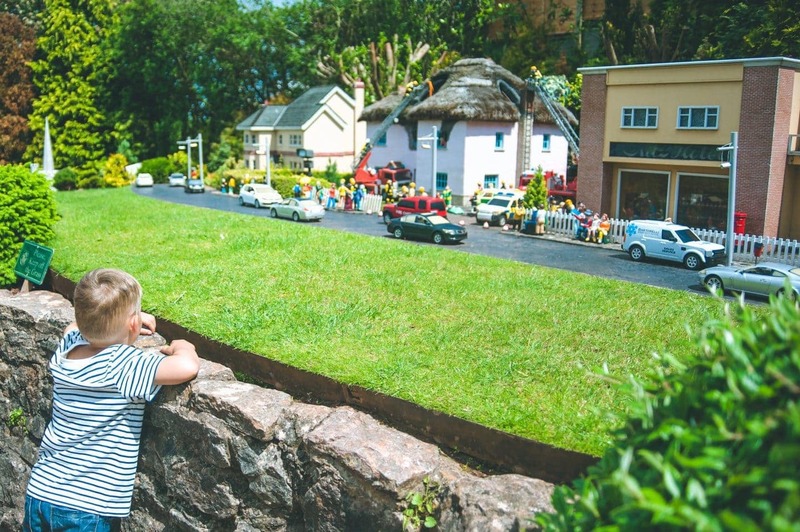 I would love to visit Babbacombe model village! Your kids have such creative minds! I love that they think it’s a village of fairies! What a great place to visit! It looks magical, and perfect for kids. 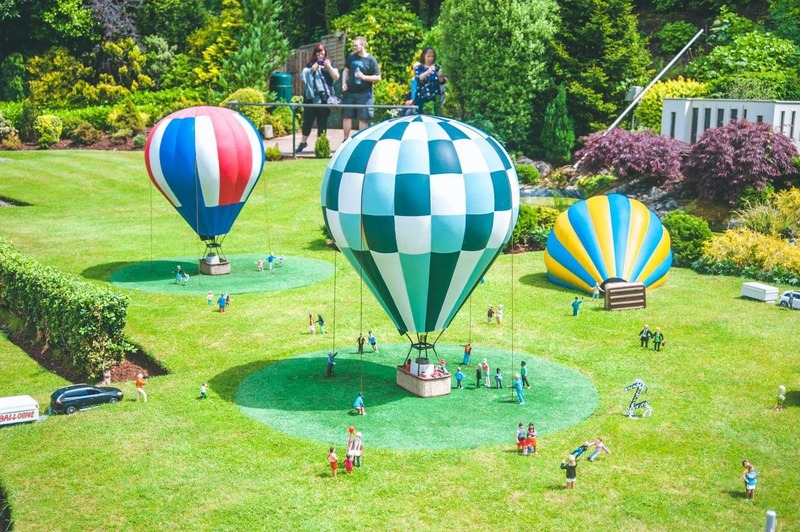 I love the hot air balloons and the Royal Wedding model! Amazing!! 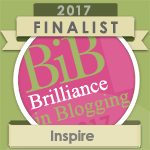 It actually looks rather spectacular, not what I was expecting at all, I think this is definitely going on our ‘to-do’ list! It looks like a nice place to take your family to. The pictures are really gay and sunny. This is seriously awesome! I think it looks so very real until I remember this is a miniature village. Very cool and I would absolutely love to bring the kids here! 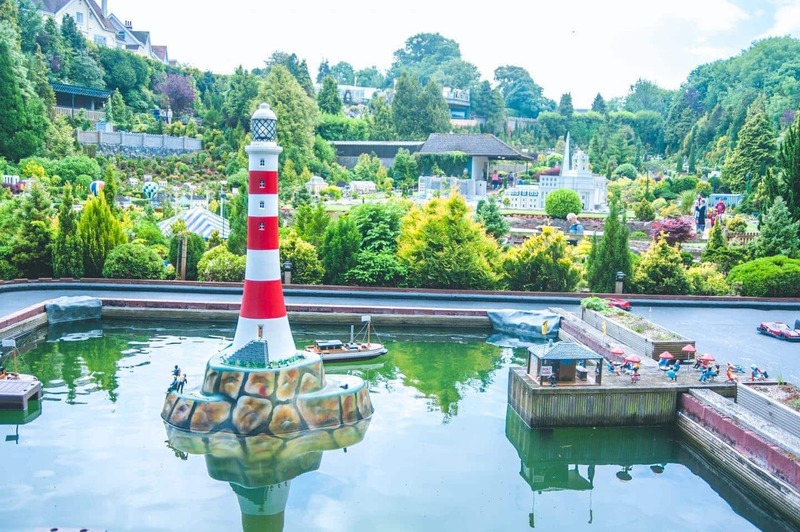 Wow, the Model Village seems like a wonderful place to visit. I’m sure little man would love it! 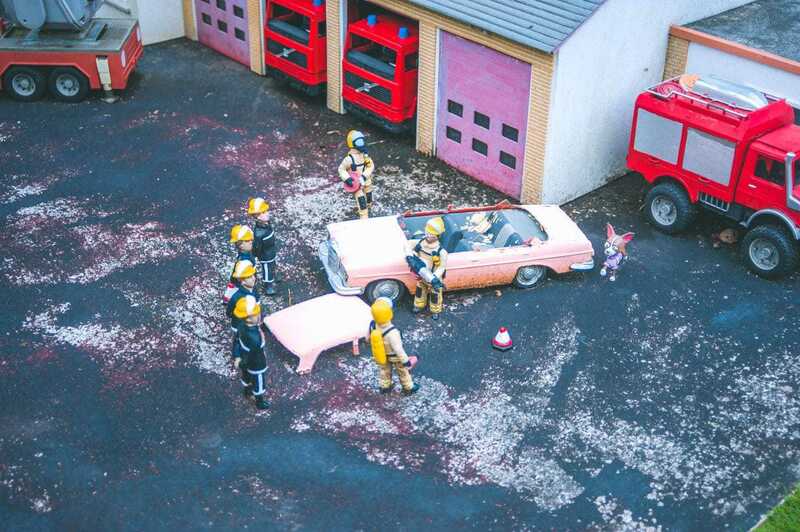 The amount of details in this model village is fascinating! I love how they’ve thought at every single little thing. 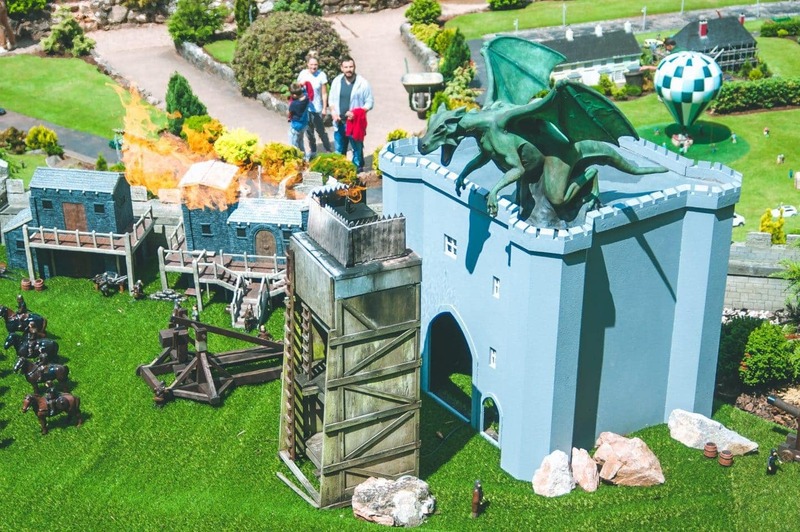 The breathing fire dragon is definitely a star of the show, especially for kids. Absolutely amazing! I wonder how long did it take to create that masterpiece. Very detailed too. What an amazing place to take the children. So much to see and explore. My kiddies would love this. What a fun place to visit with the whole family! I have always wanted to see this for myself. I hope to, soon! I think it’s awesome that the kids had loads of fun! Glad you all had a wonderful time there! So worth it! It looks so awesome out there. I know my daughter and I would love it. It kind of reminds me of Legoland where they build the small towns out of legos or so some pretty ornate designs. It’s pretty awesome. I’ve never heard of Babbacombe before but it sounds amazing. I know my son would love it, especially the dragon! What an awesome place!!!! Looks like a place I would gladly get lost in! 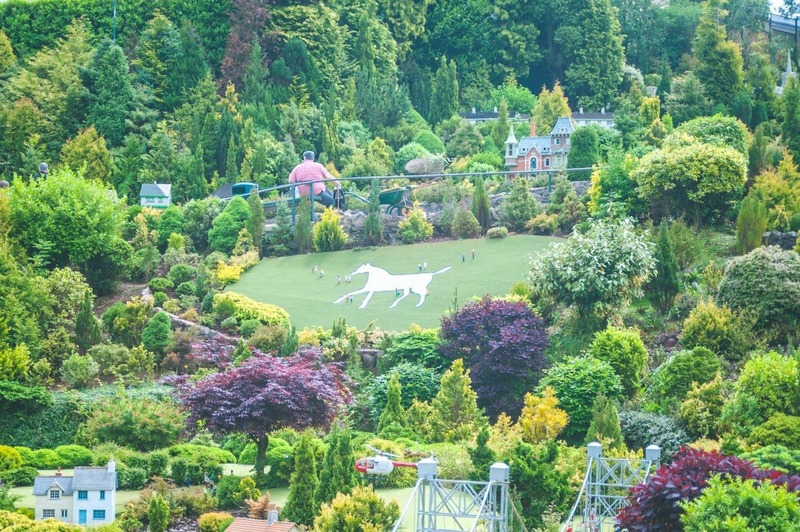 I have never been to a miniature village! it looks so cool! such a great place to visit! and how perfect to go there with your family! How beautiful, an interesting place to visit! I’m italian and here we have the”Italy in miniature”, it’s similar and super cute! What a lovely place to explore! I’m all for a little happiness when I travel and this place looks like it brings a smile on your face. 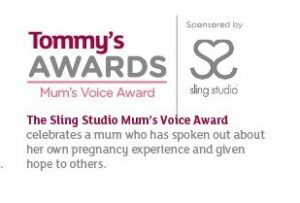 Wow this must definitely be an experience! I’ve never visited anything like this but it’s neat because you get to see a ton of different things being portrayed in one spot. 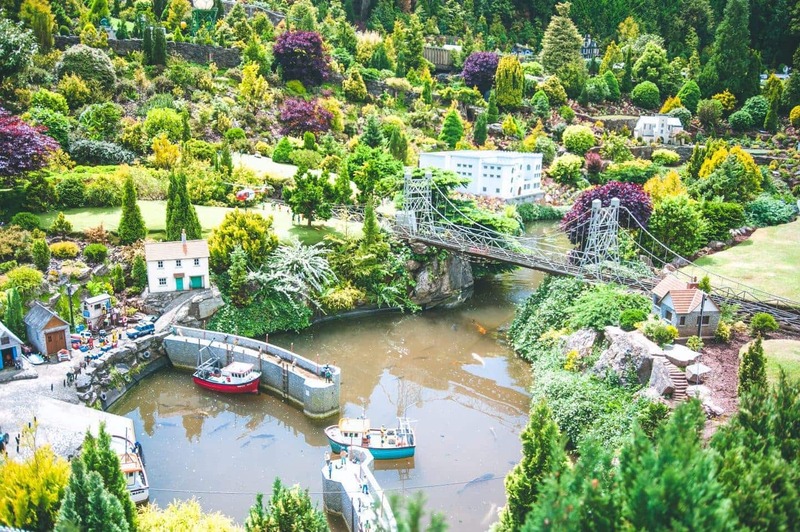 This model village is really something else! We’ve visited one on the IOW but it wasn’t as cool as this. Love the Fireman display! What a beautiful sight! 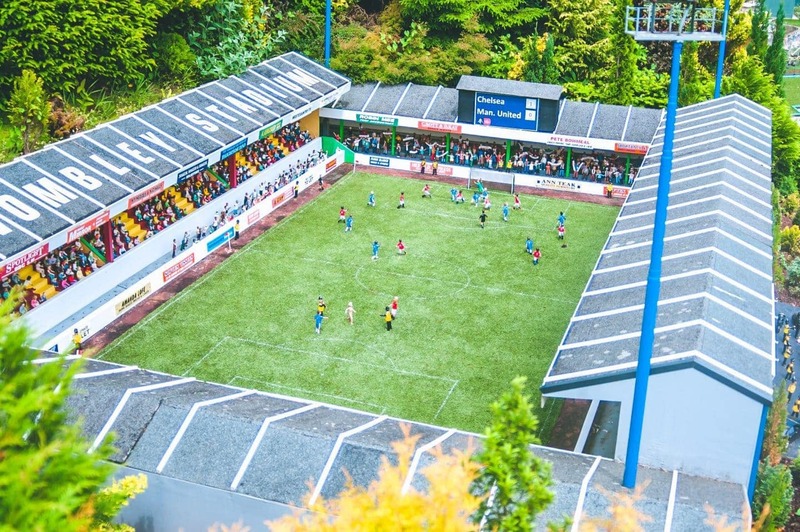 My kids would love to see this model village for sure. I really enjoyed the tour as an adult, I can imagine how excited the kids must have been. Laura, your pictures are always so vivid, what camera do you use? oh wow this sounds amazing. I would love to take my daughter as I reckon she would love it. Wow, thts a lot of detailing and work to create such masterpiece, sure it would have been such nice time for your kids and time would have just gone by…! Very important to get the kids to know and learn such things. thanks. 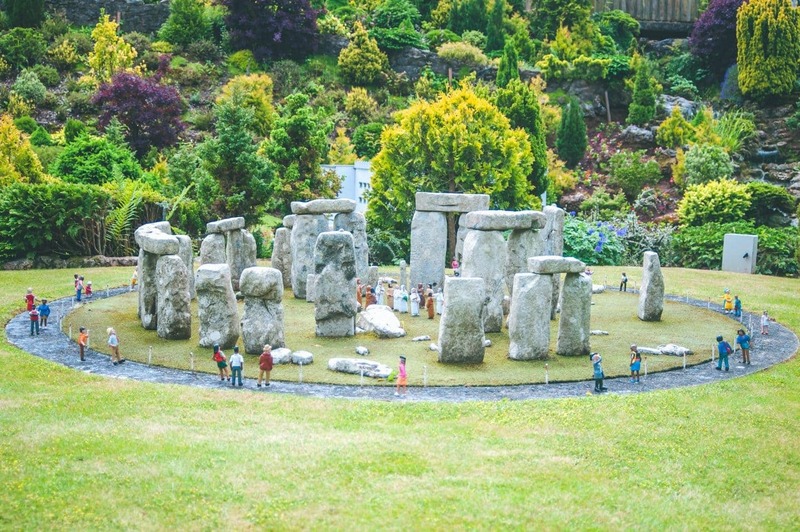 I absolutely love places like this and they’ve done it so well, that mini Stonehenge is adorable! My kids would love it here. 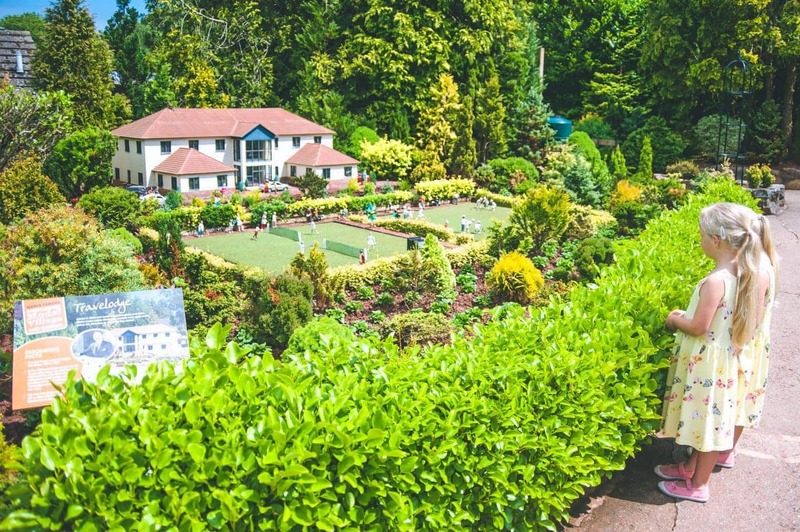 I heard about Babbacombe Model Village before but I never know how it looks like. I am amazed! OMG, how incredibly magical this is! I would love to visit, I know that my daughters would absolutely LOVE this. Thanks for sharing. Oh my gosh this is so pretty! And what a learning opportunity for the kids. They get to see a glimpse of the world outside your city.